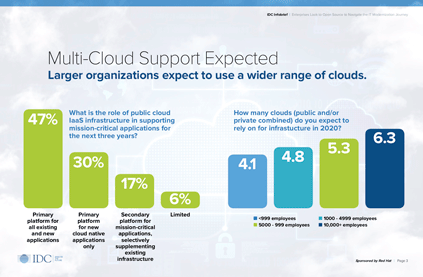 Most apps will run in the cloud by 2020. 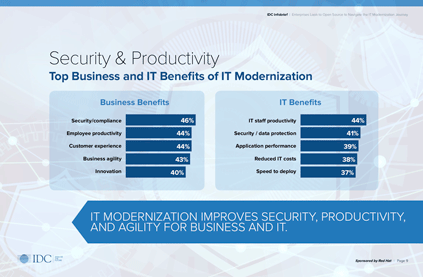 But as revealed in this IDC infobrief, 63% of IT leaders plan to run mission-critical apps on their traditional infrastructure for at least the next 3 years, despite ongoing modernization. It’s during this period that those surveyed say open source solutions are critical for integration between traditional and modern environments—and for the easy adoption of container and cloud platforms. 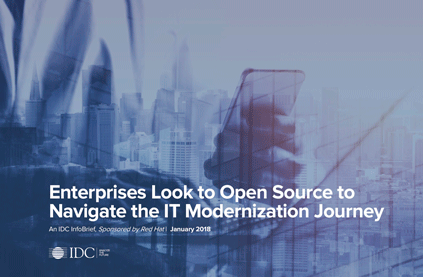 Download the IDC infobrief to learn why open source ranks #1 in IT modernization solutions.